This morning’s journey into work reminds me of the extent to which travel affected by severe weather conditions impacts not only the practicalities of our day but also our thought processes too. My route to work is normally relatively swift. Just over an hour door to door. One train and a couple of tubes. 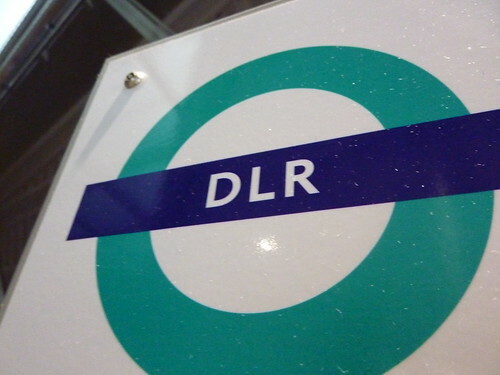 But today, I’m forced to take the Docklands Light Railway into central London. Once there I’ll be getting the Central line to White City. It’s not that inconvenient. The train is warm. The snowy view is rather nice to look at. It’s different. The Docklands Light Railway is like a box on wheels moving smoothly and quietly around ever hopeful areas of London, parts of the capital I rarely visit. 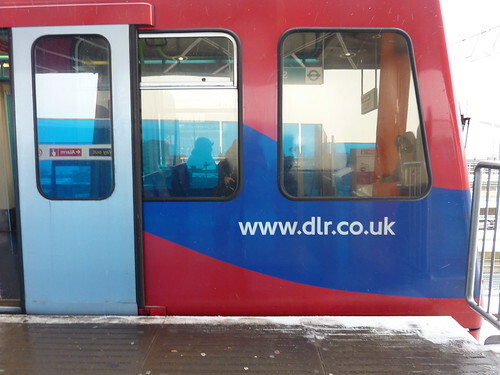 The DLR is always how I imagine a Lego train service to be if I’d built it and was small enough to travel on it. Optimism and pragmatism all for an affordable return ticket. A change is as good as a rest. You get my point. But there’s a problem. The DLR train I’m on is stuck at Canary Wharf. There’s another further up the line, stuck in the tunnel at Bank station. We’re not going anywhere. The train captain is keeping us informed – I swear he’s masking a deep seated desire to be on the radio with a borderline annoying customer focus – but that’s not helping things. We’ve ground to a halt. Alternative modes of transport aren’t in the offing (they’re suffering severe delays as well). Momentarily, we are marooned. Moments like these remind me to what extent we create sub-conscious barriers to protect ourselves against our journeys. These barriers keep the irritating crowds, the tinny music and bad body odour at bay whilst we make our usual journey to work. We become accustomed. It’s those same barriers which help us in our moments of seeming helplessness, fending off the internal dialogue with a coping mechanism. Find yourself in an entirely different travel situation – it doesn’t in itself have to be stressful or massively inconvenient – and suddenly that learned coping mechanism is shot to pieces. The barriers are down. Let the thinking begin. I sit and stare out at the train in front of me, calculating the perceived value of me battling in to work to show my face at my desk (on a day when the ‘future’ is being discussed) or whether instead putting the birch down on to the empty seat beside me and attempting to head back home is the more realistic and pragmatic alternative. I’ve been an hour on the train. Home is only three miles away after all. Is there any point in heading in? Its really not going to insure me against future change. Battling through the travel challenges is not going to win me a Blue Peter badge or indeed a gold star. Such accolades are achieved in a different way. They are irrelevant here. The train captain picks up the microphone .. again. This train is going to Stratford. 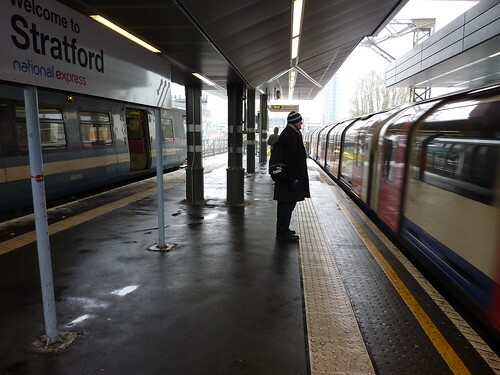 You can change at Stratford for the Central Line – the only good service running today on the Underground. There’s a Bank DLR train on the opposite platform. No-one knows how quickly it will depart. Choose now. Jump or wait? Move out into the cold to join another train or stay where you are? Risk having to stand for hours on end before the Bank train actually leaves or stay here on the Stratford bound one with my seat and my view. Be bold. Be brave. Or stick with being inert? Inevitably I choose the warmth of the train I’m already sat on and watch with a sinking feeling when I see the train on the other platform pull off almost as soon as the doors close. We pull off soon after that, north east to Stratford. Passing the Olympic village. Destined for a world where trains, tube and DLR boxes on wheels converge in a weird no mans land of public transport. A different view. A different angle. Stripped of my normal coping mechanisms, I’m faced with the most daunting question of all. Where will I go next?